This coming Sunday the 27th January we have our third social at the ORB Micropub, Darlington. 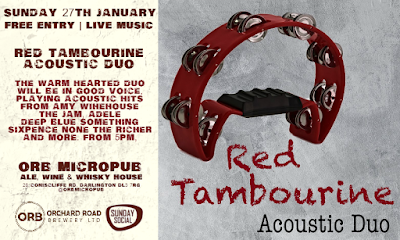 The warm hearted acoustic duo Red Tambourine will be performing acoustic renditions of tracks from the likes of Amy Winehouse, The Jam, Sixpence None The Richer, Deep Blue Something and more. As always there will be a fantastic selection of local craft ales, alongside high spirits and good vibes. 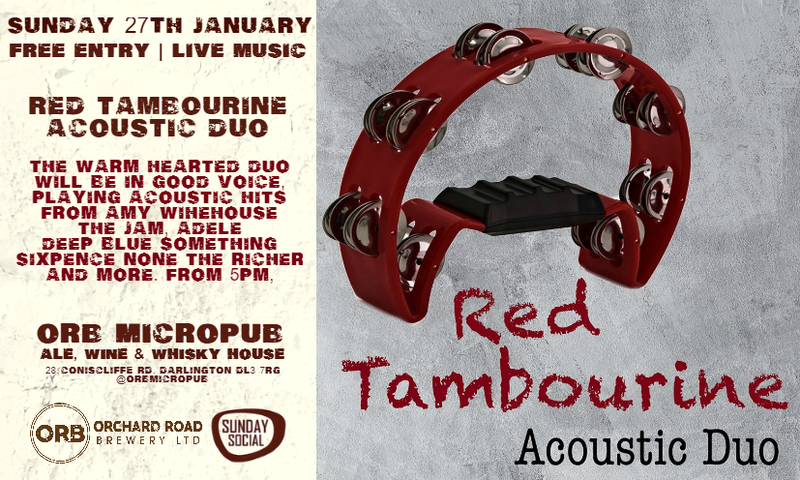 Free entry | Live music from 5pm. See you then.